Welcome to Day 2 of this fabulous blog hop! And now I am on my third order from the company! The Starburst Shimmer Sprays are my favorite! Where have they been all my life? 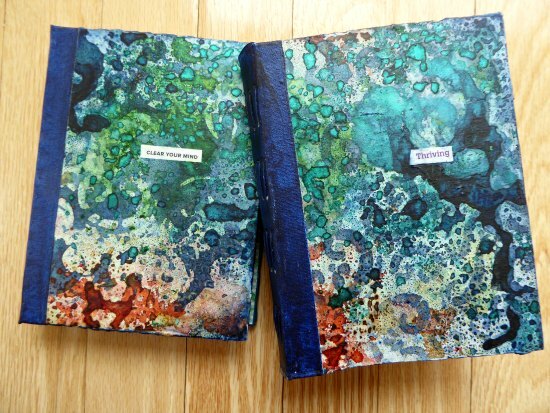 You know I love making art journals. until I am most of the way done with it. and layering them to see how they mixed and blended. And then it was...Yep, That's a book cover. Here is how they started out. My go-to Curlicue Floral as the base. Then more layers and delicious shimmery drips. Then two more... but a little different approach. I have some 12x12 deli paper that I layered and stenciled on. I experimented with acrylic paints layered with the sprays. I used the X-12 and the Gridded stencils in the layers here. some cardboard for book covers and proceeded from there. I love the crinkly deli paper look! 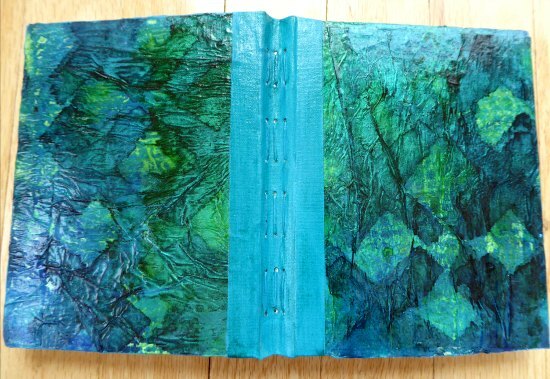 My Green inside book covers are scrapbook paper cut and glued to fit. Then some Starburst Sprays on top through the Curlicue Floral stencil. the 9x12 stencil in the February 2018 StencilClub Kit. Lindy's Gang Starburst Shimmer Sprays. StencilGirl®'s Facebook page and Lindy’s Gang’s Facebook page on Wednesday, April 25. 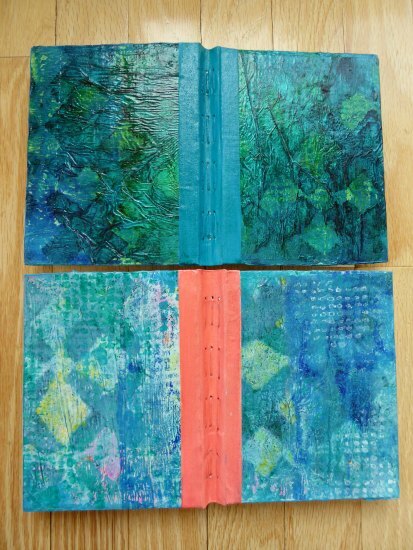 What fabulous colours you have used for these beautiful journals! Thanks for the inspiration. 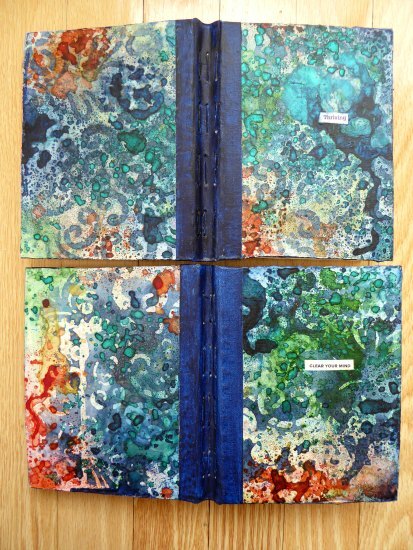 I have so many journals sitting around that need pretty covers. Your cover is BEAUTIFUL! You got great results with these. Thanks for the show! Oh my goodness! These are so beautiful! I want them all! oh my goodness! 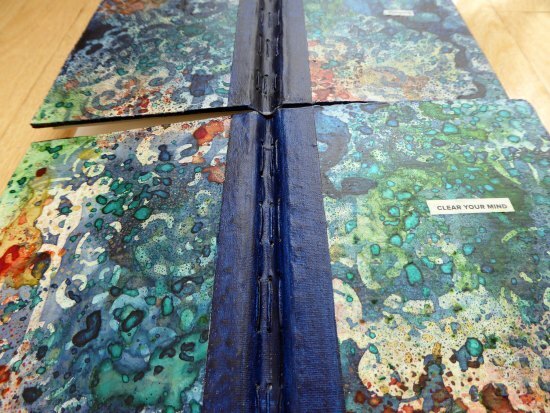 All your journals are stunning! Love love love them! Thank you for sharing and inspiring! Wow i love those covers. The colours and desins are incredible. Wow, I really love that first cover! So pretty. Hi Amanda, I cut boxes up and use that cardboard. Easy Peasy! Gorgeous covers! 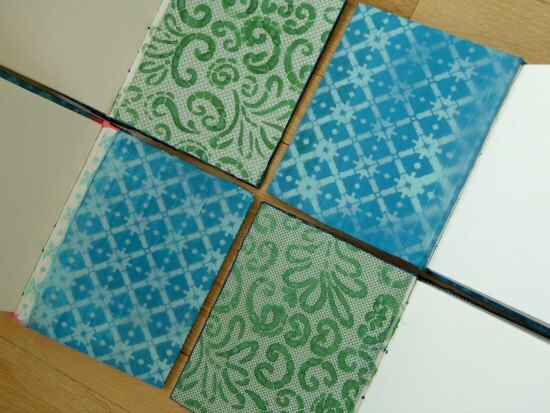 Love all the colors you used and such a pretty way to spruce up journals. Beautiful job. Gorgeous! 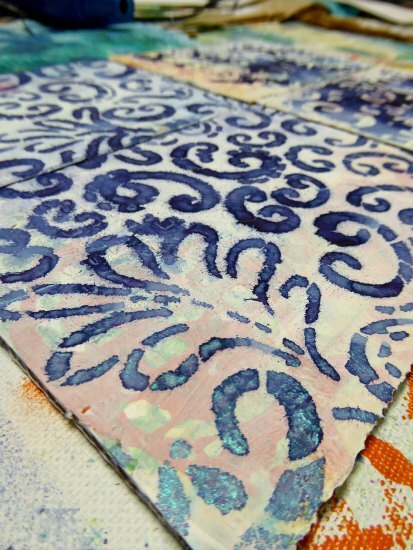 Love all the colors and stenciled layers. I love these! Wonderful colors! 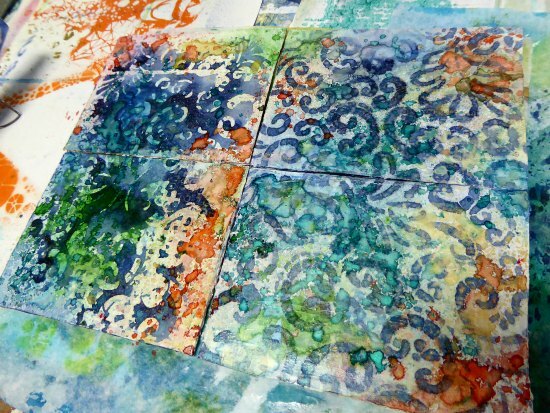 Superfun project, love your colour combo, LSG products are fabulous and great combo these stencils! Love how the layers come together! Gorgeous covers! I love all those blues and teals! What great techniques. Thanks for sharing the step by step! You are so prolific and such an inspiration!! Those colors are so bright & happy! It would be hard to NOT use a journal that has such a pretty and inspiring cover. Pretty use of stencils in the background. 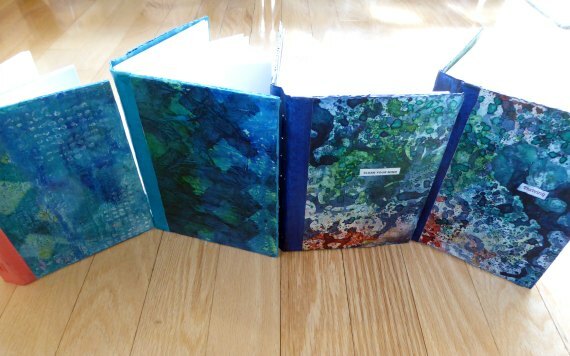 Love the how you remade these journal covers. I love the depth you were able to achieve in those layers. Yummy. So cool! Love it! Thank you so much for sharing your inspiration! Whoa! These are amazing! Love them. Just gorgeous projects. I love the look of embossing powders! I really love your alphabet journal. I think I need to do this too.